Ethiopia has announced the construction of a state-of-the-art 60,000 capacity stadium in Addis Ababa. 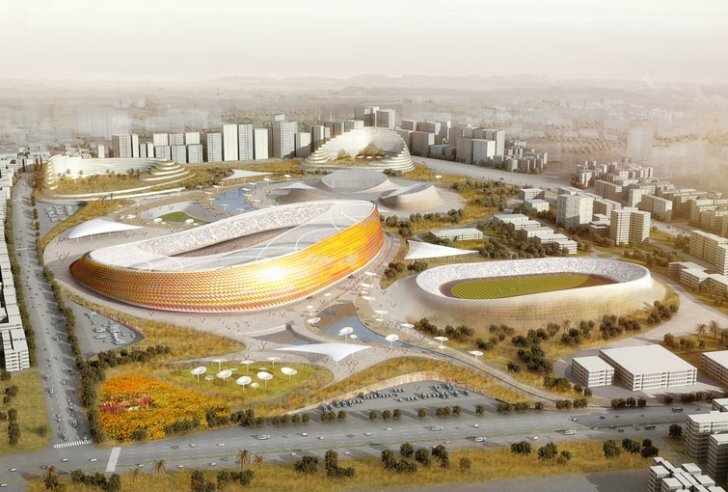 The new national stadium will meet both FIFA and IAAF requirements, putting Ethiopia in the position to host international sporting events. Ethiopia’s Ministry of Youth and Sports signed an agreement for the construction of the 48.8 hectare-facility on Wednesday with Chinese State Construction Engineering Corporation Ltd (CSCEC). The stadium, which is scheduled to be completed in three year, is estimated to cost around 2 billion Birr ($94 million). The government has vowed to provide the needed funds. An Ethiopian firm, MH engineering Private Limited, has been contracted to design and supervise the construction of the new national stadium. About 40% of the construction work will go to locals. Officials estimate that the project will create about 2,000 jobs. The stadium will reportedly be constructed in Bole sub-city, located in eastern Addis Ababa. Youth and Sports Minister Redwan Hussein, who attended the signing ceremony, said the government has already relocated 599 people, who lived on the stadium site. Although he did not specify where the people had been relocated to, Hussein admitted the sensitivity of the matter. The government is reportedly yet to discuss the removal of a mosque located on the construction site with local Muslim leaders. Ethiopia’s Christian majority and its Muslim minority have had a historically delicate relationship. “We plan to use the new stadium, which will have versatile purposes, and other regional stadiums under construction as a stepping stone to a bid for the African Cup of Nations and international athletics competition to make the country a great sporting nation once again,” Hussein said. Although Ethiopia is renowned for its legendary runners, the East African nation is also a football powerhouse. Ethiopian football has been experiencing a resurgence with the Walyas putting up memorable performances in recent competitions. However, the country, a founding member of the Confederation of African Football (CAF), has not hosted a major football tournament in over 20 years. Across the country, the government is building several stadiums and sporting facilities in hopes of recreating Ethiopia’s illustrious glory days.